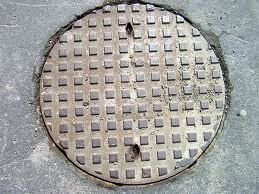 Police in Midlothian are investigating the theft of metal drain covers from locations across the county last week. A total of 20 cast iron roadside covers were stolen from the Wisp (9 covers), Old Craighall Road, Millerhill (6), Myrtle Crescent in Bilston (3) Pentland Road in Loanhead (1) and Millerhill Road in Millerhill (1). The thefts took place from the early hours of Thursday, June 21 to the following afternoon (June 22). 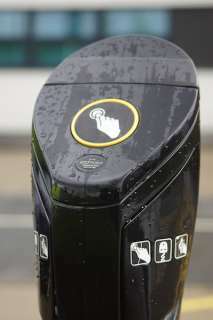 The cost of replacing the drain covers is estimated at around £8000, and police are appealing for any information that can lead to the recovery of the items. A Lothian and Borders Police spokesman said: “We are appealing for any information that can help us identify whoever is responsible for these thefts. “Anyone who was in any of the areas concerned last Thursday and Friday, who noticed any suspicious roadside activity, should contact police. The Royal Navy marked the 200th Anniversary of the Battle of Trafalgar at the Edinburgh Military Tattoo in 2005,with the band of the Royal Marines and a spectaular light display onto the imposing ramparts of Edinburgh Castle . 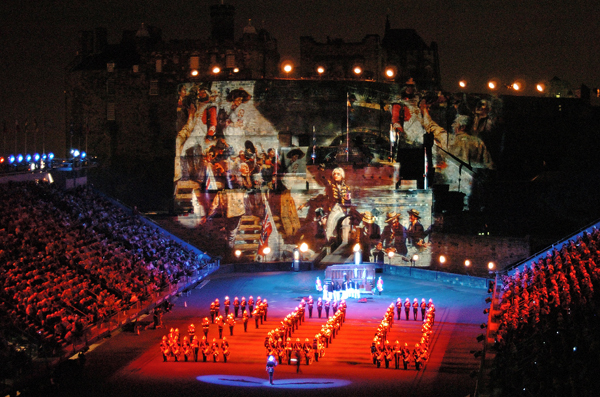 Looks like it was a spectacular show, it’s come a long way since the first Edinburgh Tattoo in 1949. Today it is televised in over 30 countries. Despite the unpleasant weather the emergency services and partners are running demonstrations and giving safety advice. If the rain is getting you down a bit ,you can always pick up one of our free Safety Village rain ponchos. Remember and say hello to Spike the hedgehog. 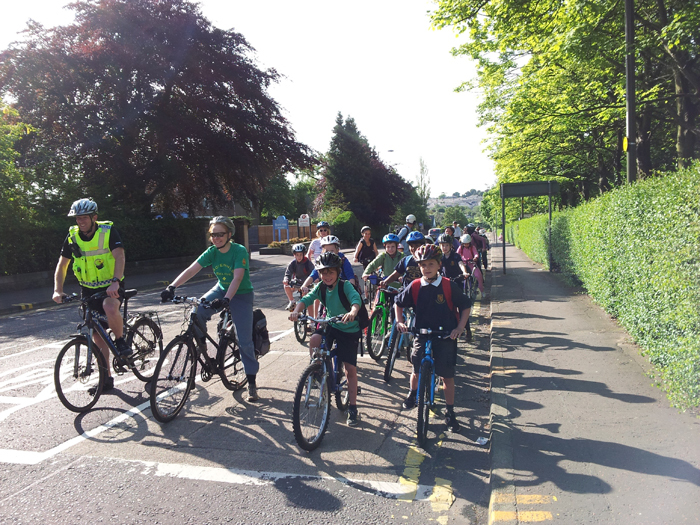 Primary five pupils from Sciennes Primary School got the chance to try out the new cycle route from the King’s Buildings to their school, as part of Bike Week 2012. They were accompanied by teachers Shona Pearmain, Iain Kearton, and Fiona Barker, as well as LBP cycle cops PC Leon Malinowski and PC Andy Couillard. Ok so to start things off – how about a little news about you? I understand you were in charge of the Olympic Torch relay last week – must have been fun? Yes it was a once in a life time event, which really captured the public’s imagination and of course the weather greatly assisted! 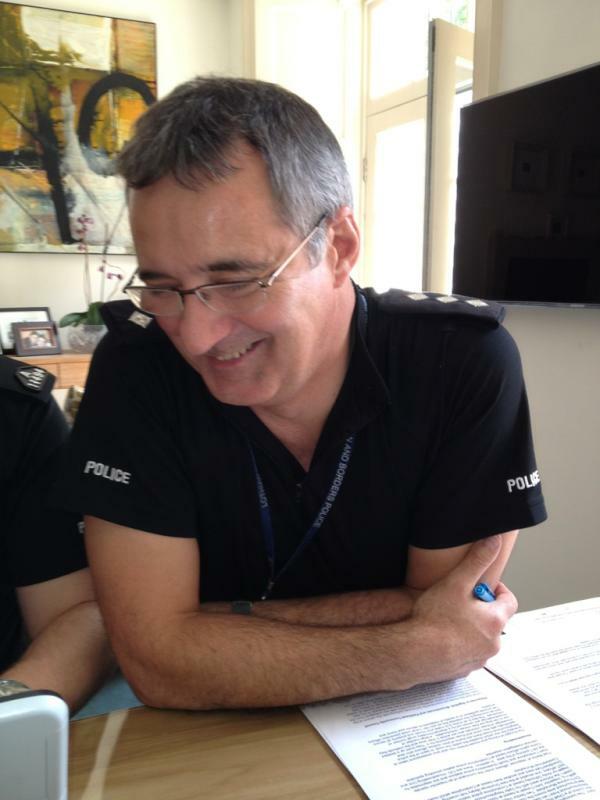 So a little bit about you – you are Chief Inspector of the West Neighbourhood Area? How did you get into the police in the first place? I was a pharmaceutical microbiologist at Nine Wells Hospital in Dundee, although I enjoyed the job, the nine to five routine did not suit. My father was a police officer and he always said it was a job that you never did the same thing two days running, which appealed. Between 1996 and 1999 I was one of the motorcycle sergeants based at police HQ. A really exciting job as the bikes were usually involved in the majority of major events occurring in the city. So now your day to day job involves looking after the whole of the West Neighbourhood – where does that extend to…? The west Edinburgh area runs for Murrayfield through Corstorphine and out as far as Kirkliston and includes South Queensferry. As the Chief Inspector for the west neighbourhood area (NA) I am based at Corstorphine Police Station. The west NA covers the council wards of Almond, Drumebrae/Gyle and Corstorphine/Murrayfield. Two sector inspectors are responsible for community policing, Inspector John Cooper is based at South Queensferry Police Station, John Cooper covers the Almond ward with his Safer Neighbourhood Officers (SNT). One of the areas that you personally look after is Murrayfield and of course when there are concerts there it must involve a lot of police work… How do you plan for this..? Murrayfield stadium has a capacity of 67,500. Usually the stadium is full of ardent rugby supporters who know where to park and the lay out of the stadium so in essence the policing operation is basically to get a large crowd in and out of the stadium safely. For a concert, although the capacity is reduced to around 50,000, the challenge is getting a crowd who are unfamiliar with the stadium into and out of the ground. So in essence we need to interact with the crowd and the event organisers to a greater extent. And we have a question about traffic around the Corstorphine area…. coming next from Lothian MSP Sarah Boyack. I note that Lothian’s and Borders police ran a speeding campaign in response to reports that some CityLink buses and airport shuttle buses were speeding, most notably between Roseburn and the Zoo. Can Chief Inspector Murray Dykes please provide an update on the campaign and what speed checks were in place and whether the campaign was viewed as a success? This issue was raised as a concern by the community at the latest priority setting group. The local Safer Neighbourhood Team (SNT) have undertaken to monitor the speed of vehicles on the Corstorphine road corridor and in conjunction with their Road Policing colleagues will endeavour to educate and, where necessary, enforce local speed limits. The SNT officers will report back to the group within three months. With the increased media attention as a result of the Panda’s at Edinburgh Zoo, has it made a difference in how you would police the local area, especially on the build up to the arrival of the animals? As you would expect there was a great deal of excitement around the arrival of the Pandas and that was just amongst the police officers involved!! As you would expect a great deal of prior planning went into their arrival at Edinburgh Airport and subsequent journey to the zoo. On an ongoing basis we have an SNT officer who is a liaison officer for the zoo and who can provide assistance to them in terms of local traffic management and increased crowd numbers. I welcome the opportunity to read the views of Ch Insp Dykes in relation to Policing within the Western Neighbourhood Partnership area.As I am a former Councillor for the Drum Brae/Gyle ward who had a part in the decision making process which commissioned the new Drum Brae Library and Hub and still has an interest as the local MSP, perhaps Ch Insp Dykes can inform those involve here today;What effect the new facility is having on the NP area? I know the Drumbrae library Hub project is a topic close to Mr Keir’s heart. The facility allows council service community staff and police officers to work side by side in the heart of the community. It is a bright modern facility, which is a real asset to those living and working in the area. Natalie Hoy from City of Edinburgh Council West Team.Natalie is the West Neighbourhood Manager employed by the council and she works alongside the Police and other partners in relation to a range of different council services like housing roads and community safety. Here is something we found at the Drumbrae Hub the other day…. what on earth is this..? That is our electric charging point for vehicles at the south of our building! Here is another question from Sarah Boyack MSP about housebreaking. Housebreakings continue to be a concern and priority in the local area. Can Chief Inspector Murray Dykes please advise what necessary steps residents should be taking to prevent house break ins? The thought of having your house broken into and your possessions taken is probably the one which troubles the public the most. In addition to uniformed officers, in each of the neighbourhood areas there is a team of plain clothes officers who deal specifically with this crime and those responsible for it they build up a detailed knowledge of those criminals who are acitve in their area and the methods they use in carrying out their crimes. Sadly the large number of house breakings are carried out by a disproportionately small number of individuals. The key in all of this is to make your house and property as secure and as uninviting to the potential thief as possible. Contact your local crime prevention officers to provide guidance on measures to protect your home and property, on 0131-311-3131. So both you and Natalie work together in the West Area. Where do your jobs cross over in particular? One of the main areas is responding to the community’s concerns regarding anti social behaviour. We do this by working closely together. Colin Keir has a question about antisocial behaviour…. Can Ch Insp Dykes explain the strategy used to ensure public safety and combat anti-social behaviour in our parks and greenspaces? Working on community information, we jointly patrol with SNT officers and council environmental wardens where the community may have concerns. We work closely with ‘Friends of Parks’ groups on improving amenities and reducing anti-social behaviour. Since 2007 we have been working hard to reduce the damage caused by bonfires in the area around Guy Fawkes. This has involved the community parks officers, police, task force and environmental wardens. Kim Harding who is a well known city cyclist -What plans do LBP have to enforce the new 20mph speed limits? Enforcement generally lies with my Road policing colleagues, however, Safer Neighbourhood Team officers do take an active part in speaking to schools in relation to indiscriminate parking and general traffic around schools. One of the big drives by Lothian and Borders is to give the community a say in what their local priorities are for the police and the council. How do residents get involved in this? Local priority setting groups sit under the Neighbourhood Partnership structure and are meetings involving local council staff, SNT officers and representatives from the community, including Community Councils. This is an opportunity to let both police and council know what issues are afffecting you in your area. Contact the West Team for further details or see My neighbourhood section of LBP website. There should also be posters advertising up and coming meetings in your local area. Alternatively why not drop in to the Hub? Edinburgh is an extremely safe city in which to live, work and visit. It is steeped in a rich history which has provided a wealth of material for authors over the generations. Why not drop into your local library to find more. The new Drumbrae library Hub has 22,000 new books for you to enjoy. Personally I am a Morse fan! Road Safety Scotland (part of Transport Scotland) and the Scottish Government are teaming up with a host of road safety and driving experts, ranging from the Police, the Fire and Rescue Service, Safety Camera Partnership, the Driving Standards Agency (DSA) and many more for the Royal Highland Show at Ingliston on 21-24 June. They will be on hand in the Show’s Road Safety Village offering expert advice on a range of road safety issues – from seatbelts and speeding to drink and drug driving. With a large number of Show attendees hailing from rural areas, a focus on risky driving behaviours on rural routes is especially relevant. Julie Roy, Lothian and Borders Safety Camera Partnership manager said: “It’s great to be involved with the Road Safety Village for the third year. 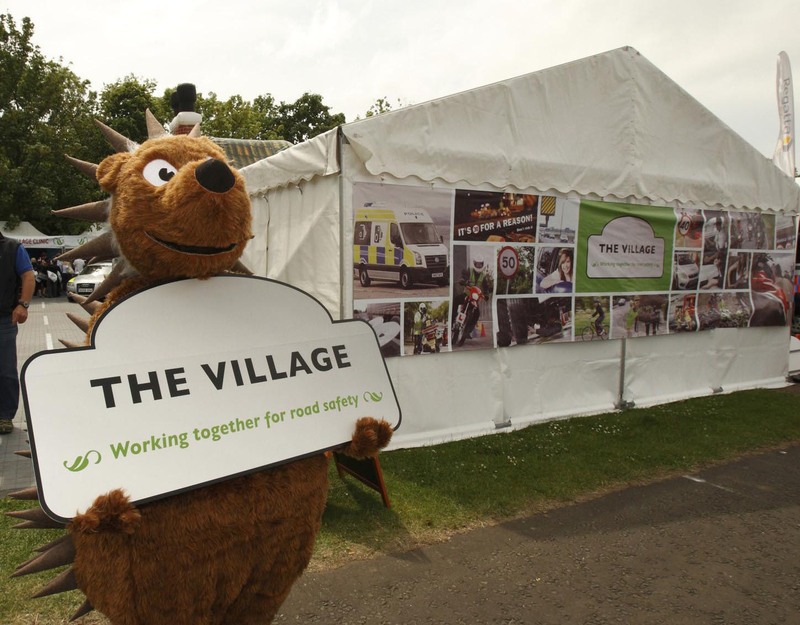 The Village concept allows many organisations involved in road safety to get their message out to a large amount of people. It also gives the public an opportunity to ask any questions they might have. Its not often you have so many road safety experts in one place who can give help and advice. The Olympic Torch wound it’s way through thousands of miles of Scottish highways and byways before finally arriving at the Lothian and Borders area. It was enthusiastically welcomed as a once in a lifetime opportunity to see the Olympic Torch relay. Huge crowds turned out in lovely weather to cheer on the torchbearers from near and far. This selection of photos is compiled from our own , those from partner agencies and those sent in by the public, for which we thank you. Thanks to everyone in the LBP area for your patience, cooperation and support with this historic event. I had a wonderful time both days the torch was in Edinburgh. I enjoyed chatting with some of the police on duty, and loved the motorbike police waving and getting the public cheering. Thanks to everyone for helping to make both days enjoyable. With fuel prices rocketing more and more people are choosing to cycle to work to save money and stay fit. Lothian and Borders Police in partnership with other agencies have set up a road show event on the 18th of June 2012, from 11 am till 2pm on the land opposite Ocean Terminal off Ocean Drive. 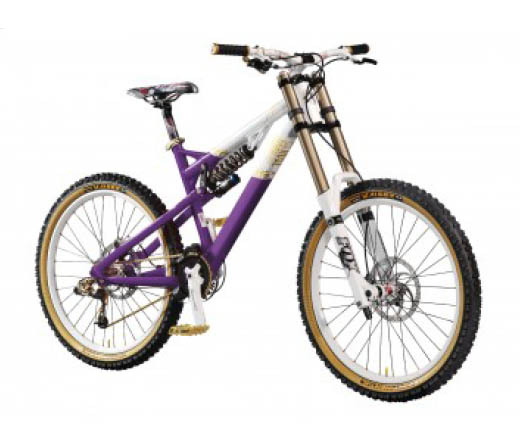 Dr Bike will be there fixing any problems with your bikes for FREE, as well as our crime prevention officers marking bikes for FREE and giving out advice on crime prevention re theft of bicycles. We will also have a display using HGV vehicles so that cyclists can learn about blind spot awareness when encountering these vehicles on the road. History will be made around 4.20pm when the Olympic Torch enters in to the Lothians for the first time. After crossing the world famous Forth Road Bridge the Torch will go to historic Hopetoun House. After Hopetoun the Torch enters Bathgate in West Lothian before heading via convoy into the capital, arriving around 5.45pm at Stenhouse before making it’s way through the city to the imposing Edinburgh Castle watching over the city below. A special 1 hour event is being held at The Castle, where the Torch will be welcomed and housed overnight, around 9000 people are expected to attend this gathering. 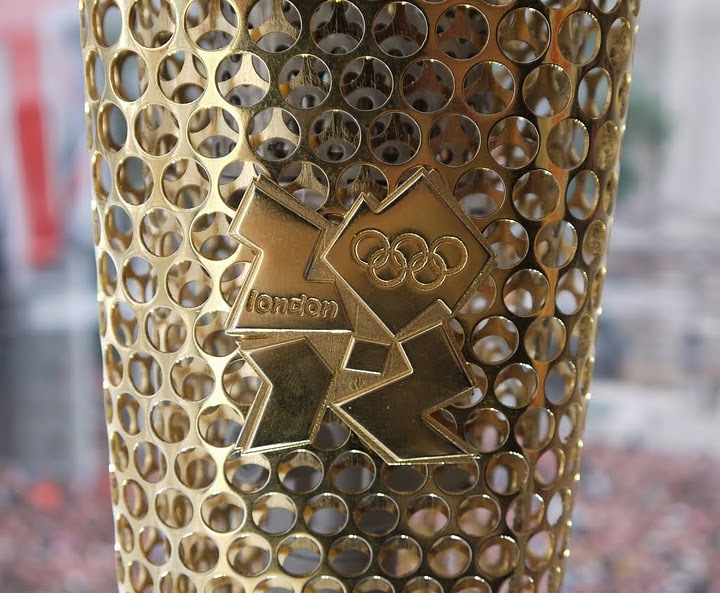 We will be sending out updates via a dedicated section on our website, and our Twitter account @LBP_Police using the dedicated hastag #OlympicTorchScotland. You can find full details of the timings and Torch route there. We want you to help play your part in this historic Olympic Torch Relay as it passes through our towns and villages. This once in a lifetime event will wind it’s way through the highways and byways of Edinburgh, The Lothians and Scottish Borders on Wednesday 13th and Thursday 14th of June. Can you help capture the moment for posterity and share it with others that perhaps can’t get to the route? To take part please Tweet your photos to us @LBP_Police or email them to us. We will post the best images on our Olympic Torch Gallery as the day progresses. Please note that by sending us your photos you are consenting to our potential use of your photograph.